The commercial building known as Four World Financial Center is situated at 250 Vesey Street between Vesey Street and West Street. This building is quite large, calculating in in excess of 1,800,000 SF. 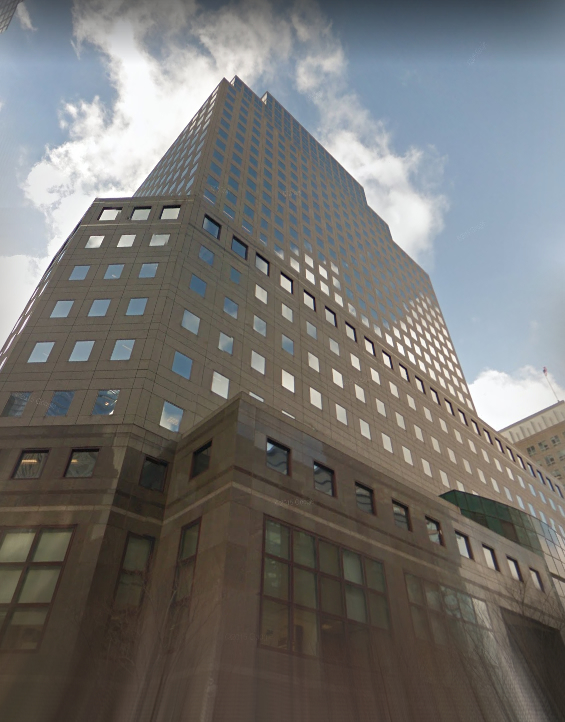 of office work space for lease and soars as much as 34 stories tall. 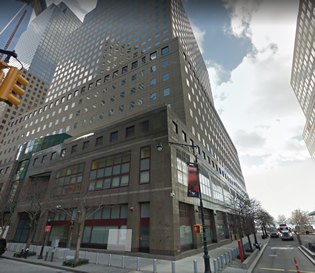 The building property was designed to provide Class A office space being completed in 1986 and has since played host to a number of companies who sought a quality work space near the large and ever expansive office towers of the Financial District. Being situated in Battery Park City this location offers both convenience for staff riding in from either Brooklyn or New Jersey. Serviced by a number of transit hubs and the ferry which can take you either to NJ or around Manhattan. Being that the property is in such close proximity to Wall Street and Downtown Manhattan this then can aid those businesses with satellite offices or those who are more closely aligned with a financial firm, the money markets, and those clients who traditionally work in the area. In total 250 Vesey Street stands as a great option for those businesses who are looking for top notch commercial accommodations coupled by state-of-the-art infrastructure and a solid management. • You can lease Contiguous Space as large as 85,000 SF. • Small Spaces as large as 10,000 rentable SF. 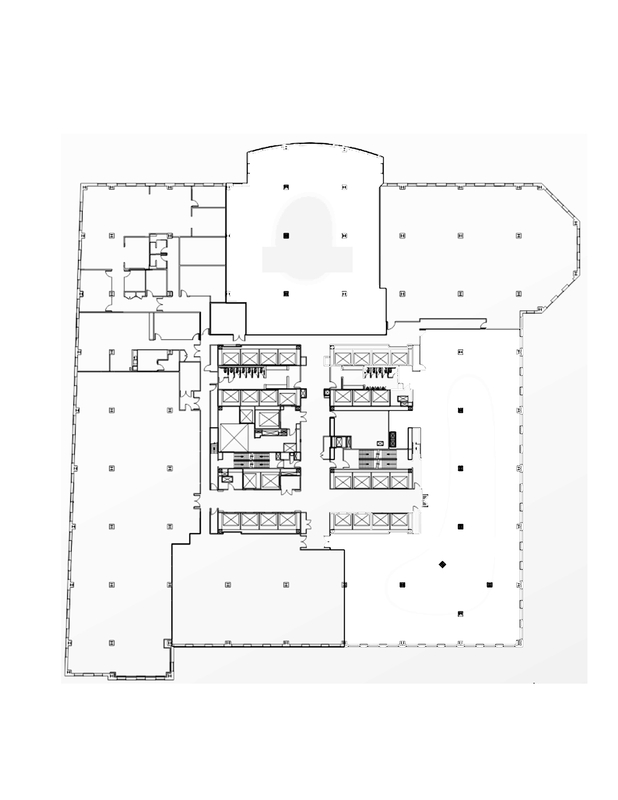 On our tour of the building we found that commonly throughout the property most of the commercial tenents within have opted to build their space without individual or perimeter offices. Today these spaces are constructed as an open plan that facilitiates workstations, which are flank by the exterior of the floors, all of which were uniform regardless of a staff person's position in the company. These spaces are peppered with interior private offices and breakout rooms where staff and clients can convene or hold a private phone call. Moreover this does not include those tenants who have built their own social café and or a reception area of which we found most to be expansive taking advantage of the large floor plans on offer herein. For more information on 250 Vesey Street, contact us and one of our brokers can provide you with all the intel needed including price, floor plans, photos, and insight into the area and the comparable options. Total Building Size: 1,903,800 SF. The place to find a lot of Manhattan’s major banking institutions, the aptly named Financial District is situated for the southern section of Downtown. This neighborhood of Manhattan is serviced by two major throrofares, Wall Street and Broad Street, which cut through from north to south in this area. Some anchor locations commonly sought after by financial companies and institutions are the New York Stock Exchange and the Federal Reserve Bank. This area is great for offhours activity as it is in close proximity to the South Street Seaport who's outside mall has numerous shops for staff to enjoy. Furthermore the area of Stone Street offers a pedestrian-only walking street that is cobblestone and plays hosts numerous eateries and bar options. On fare and clear days, you can make use of outside seating thats optimal for staff breaks or client meetings.